LIN SOULIERE works in watercolour, oils, ink, printmaking, and clay. 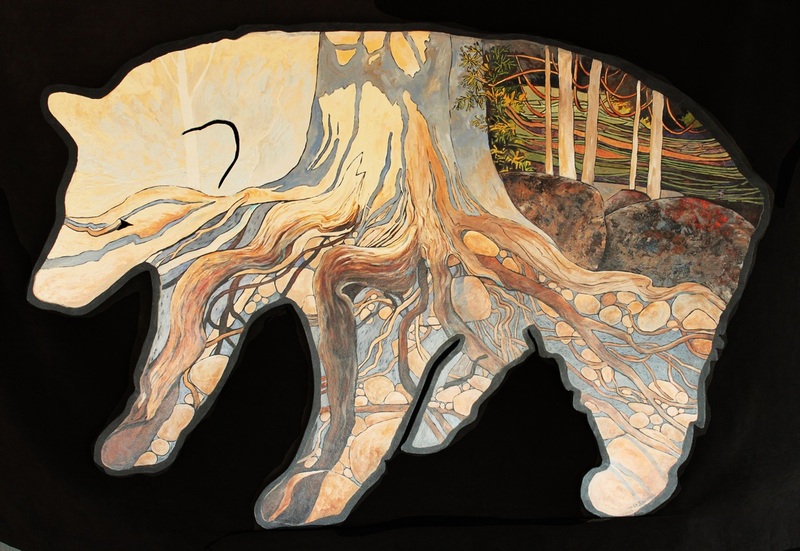 Her work has received a number of awards, been exhibited across Ontario, and is in numerous private collections worldwide. She has illustrated children's books, and also writes poetry. 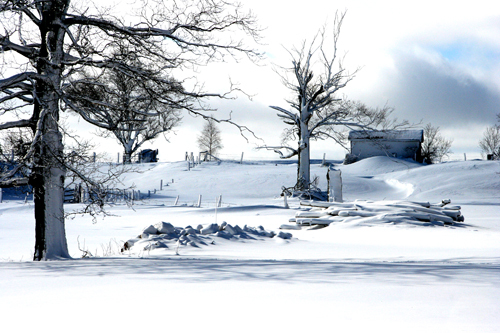 She is a member of the Bruce Peninsula Society of Artists and CSPWC. She has taught workshops across Ontario and in France. She worked in art illustration for 20 years before leaving that career and opening her own art gallery in Stratford, Ont, called the Turquoise Dolphin. Then in 1997, she and her artist-husband Carl Bell, bought property on the Bruce Peninsula, built a home, and moved there permanently. 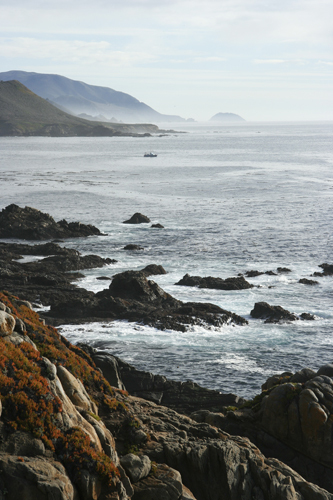 They live there year round and have their studio and gallery, Dragonfly Ridge Studio. Lin teaches watercolour workshops there and continues to paint and work in art. In 2011, Lin was elected in as a signature member of the Canadian Society of Painters in Watercolour, CSPWC, and in May, 2013, Lin was appointed as the CSPWC's Central Ontario Regional Director. In 2016 Lin was elected into the Society of Canadian Artists SCA as a signature member. 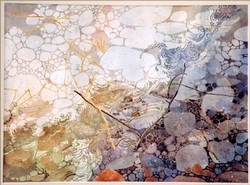 Lin’s watercolour "Spirit Regeneration" was awarded the Curry's Daler Rowney Award at the 2007 Canadian Society of Painters in Water Colour Juried Exhibit. 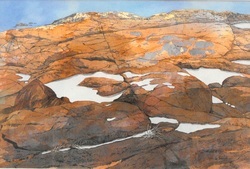 “Ancient Witness II” , watercolour and ink by Lin, was chosen to be published in SPLASH 10: Passionate Brushstrokes, published by F+W Publishing. It features water colours by some of the top artists in North America and can be purchased at Dragonfly Ridge Studio or at other book stores across North America. 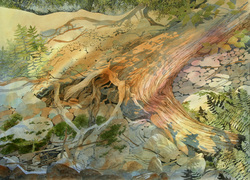 Lin’s watercolour “Escarpment Spirits: Owl, Fish and Wolf” was awarded First Prize at the 2008 Bruce County Museum Juried Art Show. The watercolour becomes part of the permanent collection of Bruce County and will be on display at one of its municipal buildings. This is the second painting that is now part of the Bruce County permanent collection. 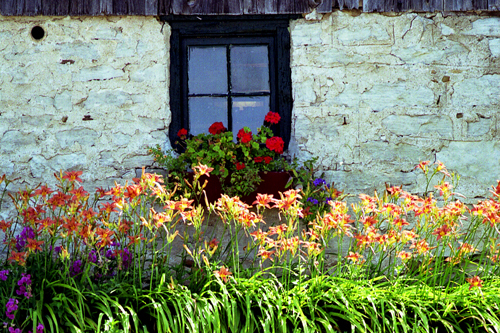 Past Member of Southampton Art Gallery and instructor at the Southampton Art School, Southampton, Ont. Elected into Society of Canadian Artists in 2016. CARL BELL works in printmaking, photography, sculpture, stained glass, and watercolours. His work has been exhibited in Ontario, British Columbia, and New Mexico. He is a member of the Bruce Peninsula Society of Artists. 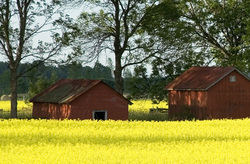 Carl works from his studio at Dragonfly Ridge near Lion's Head, Ontario Canada. He has an interest in the environment, solar energy and green building techniques. All the buildings at Dragonfly Ridge were built by Carl - one huge installation art piece! In 2013, Carl opened the Grassroots Solar Showroom in Owen Sound for his solar and LED lighting business. 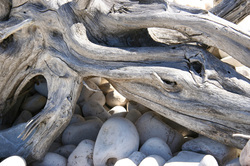 Also, in the same building, is the Santa Fe Gallery exhibiting the work of Carl and Lin, plus other regional artists. You can see more of Carl's work at Santa Fe Gallery in Owen Sound, and buy prints at http://www.fineartamerica.com and by contacting Carl.